Rep. Carolyn Maloney, D-N.Y., introduced legislation March 5 that would entitle federal employees to 12 weeks of paid leave for the birth, adoption or foster placement of a child in their family and for other medical purposes. “I have literally had federal employees call me and ask me about the timing of the bill and when is it going to pass, because they want to plan their families around it,” Maloney said at a press briefing on the Federal Employees Paid Leave Act. Similar legislation was introduced in 2017 and 2018, but both failed to make it past committee consideration. “We talk a pretty good game about supporting families, but when it comes to giving workers time to bond with their new children or nurse a loved one back to health we unfortunately fall far, far too short,” said Tony Reardon, national president of the National Treasury Employees Union. 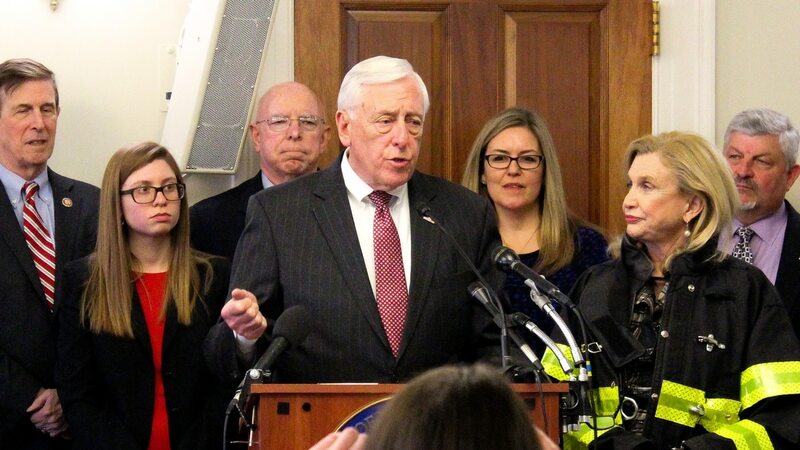 And though the bill’s 12 co-sponsors are all Democrats at the moment, past iterations of the bill have had Republican co-sponsors, and Rep. Steny Hoyer, D-Md., said that he was hopeful the bill would pass Congress and make it to President Donald Trump quickly for signature. “Then I’m hopeful that the president will talk to his daughter. Because his daughter talked about this when she gave a speech at the Republican National Committee,” said Hoyer. The bill’s previous versions also cleared a hurdle that would have otherwise all but guaranteed opposition by budget hawks in Congress: the Congressional Budget Office score. “The last time this bill was scored by the Congressional Budget Office, it actually got a positive score, which means that this bill saves money, it makes money rather than it being a debt. Which makes sense,” said Rep. Don Beyer, D-Va. Currently new parents working for the federal government may take six to eight weeks of sick leave, followed under the Family Medical Leave Act by an additional 12 weeks of unpaid leave within a year of the birth or adoption of a child. The new legislation would enable feds to receive a longer period of leave with guaranteed pay before having to use up sick or annual leave and would replace the 12 weeks of unpaid leave currently offered to feds. The bill is gender neutral, giving both men and women the same amount of potential time off, and also allows feds to take paid time to care for sick family members. “Leave to care for family members will become more and more essential as our population ages. By 2060, the size of the population 65 years and older is projected to be larger than the population under 18, which will drastically increase the already dire need for family caregivers,” said Michelle McGrain, federal affairs manager for the National Partnership for Women and Families. The legislation would also bring the federal government in line with some of the top private sector companies when it comes to family leave. “Paid family-leave policies have been shown to enhance the recruitment and retention of young professionals, reduce turnover costs significantly and improve employee morale, all of which are challenges facing the federal government,” said National Active and Retired Federal Employees Association National President Ken Thomas in a statement.